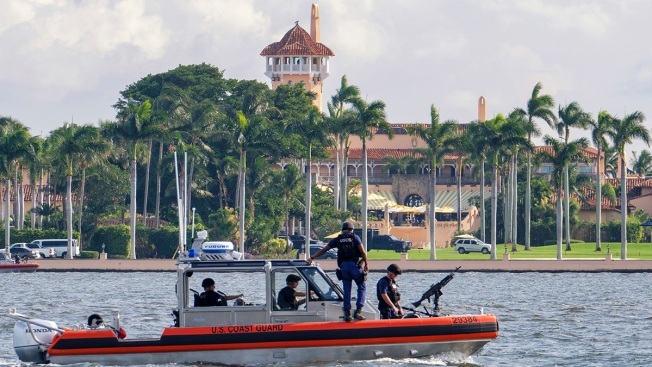 FILE - The U.S. Coast Guard patrol boat passes President Donald Trump's Mar-a-Lago estate in Palm Beach, Fla., Nov. 22, 2018. The short, two-page indictment gave no new information about how Zhang allegedly got into Trump's resort in Florida two weeks ago, NBC News reported. She was charged with two counts: unlawful entry of restricted buildings and grounds and false statements to law enforcement. The FBI began investigating Zhang as a possible spy after her arrest. Federal authorities told a judge on Monday that she lied repeatedly to Secret Service agents while carrying computer malware unlike anything a government analyst had ever seen.